Pro Landscaping is pleased to offer a wide range of outdoor services and high quality landscaping in Georgetown, Ontario. Our skilled team of project consultants are dedicated to helping you bring your vision for a beautiful outdoor space to life. Our expertise in stonescaping, garden design, tree maintenance, and sod repair make us the #1 choice for Georgetown landscaping clients. We know that attention to detail is what creates a stunning landscape, and we proudly consider this one of our strongest assets. Our team will work with you every step of the way to ensure that every small detail is perfected to create a completely customized outdoor space. 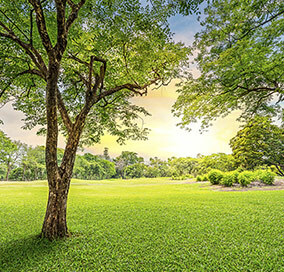 Whether you’re looking to completely remodel, or you’d like some basic tree maintenance, Pro Landscaping has the ideal solution for you. If you’re looking for some inspiration, our Landscape Photo Gallery showcases many of our past projects that exemplify our commitment to flawless design. Our team is more than happy to provide you with expert advice on any home or commercial exterior project you have in mind. The Pro Landscaping team is absolutely dedicated to client satisfaction, and there’s no landscaping project too big or too small for us to take on.